What is better than a pound of milk caramels? A 1-pound milk caramel! And what's better than that? A 1-pound milk caramel on a stick! 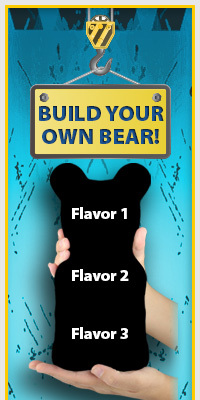 Try a giant Sugar Daddy today! The heavy-duty wooden stick will hold up to the many hours it will take you to eat this candy giant. Due to size of the packaging, this product cannot be offered with our USPS "flat rate" box shipping option. We apologize for the inconvenience.